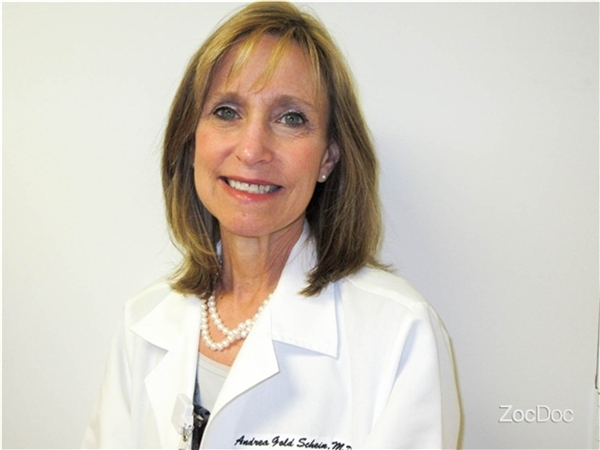 Dr. Andrea Gold Schein is dedicated to providing her patients with the most advanced and up to date medical care available. The focus of the practice is the medical care and well-being of adults. Services include the management of acute and chronic illnesses, medical risk factor identification and modification, perioperative medical management and preventative health management. In office testing available includes blood-drawing service, vascular ultrasound and echocardiography (cardiac ultrasound exam). The echocardiography lab has been granted accreditation by ICAEL (Intersocietal Commission for the Accreditation of Echocardiography Labs). This accreditation ensures high quality diagnostic testing and patient care. Dr. Gold Schein is board certified by the American Board of Internal Medicine in Internal Medicine and has been certified in Geriatrics as well. In addition to her private clinical practice, serves on the clinical teaching faculty in Internal Medicine for the Mount Sinai Medical Center based programs in Internal Medicine as well as the Nova Southeastern program in Internal Medicine.